This silver plated business card holder case features a lid with fluted decoration and an oval inscription shield that is perfect for engraving a marketing message, company name or logo, or any other dedication you choose. 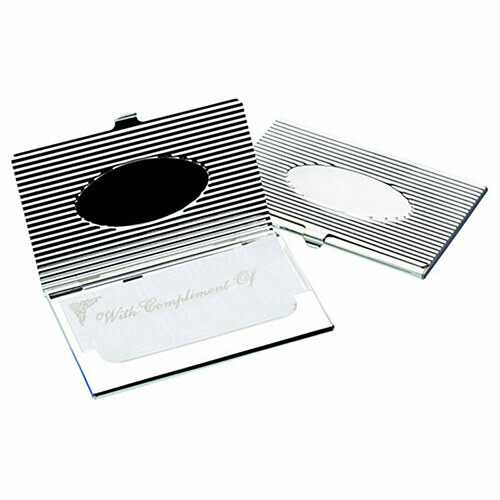 We offer free engraving and fixed price UK delivery, so you can customise these fluted business card cases without having to worry about the bottom line. Each case holds 8-10 standard business cards.